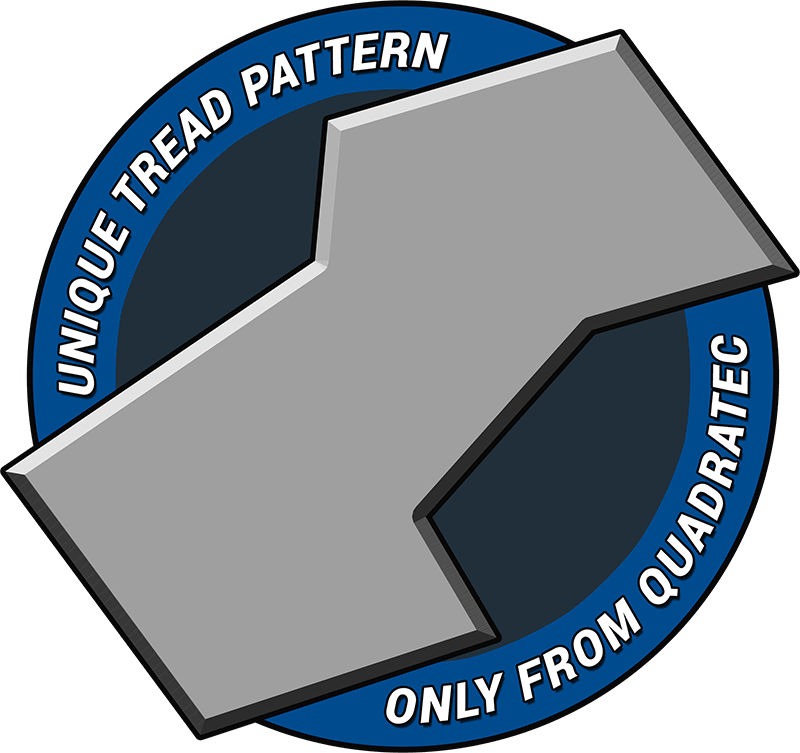 The Quadratec Exclusive Ultimate All Weather Floor Liners are affordably priced, cleverly designed and feature the best Limited Lifetime Warranty in the business! 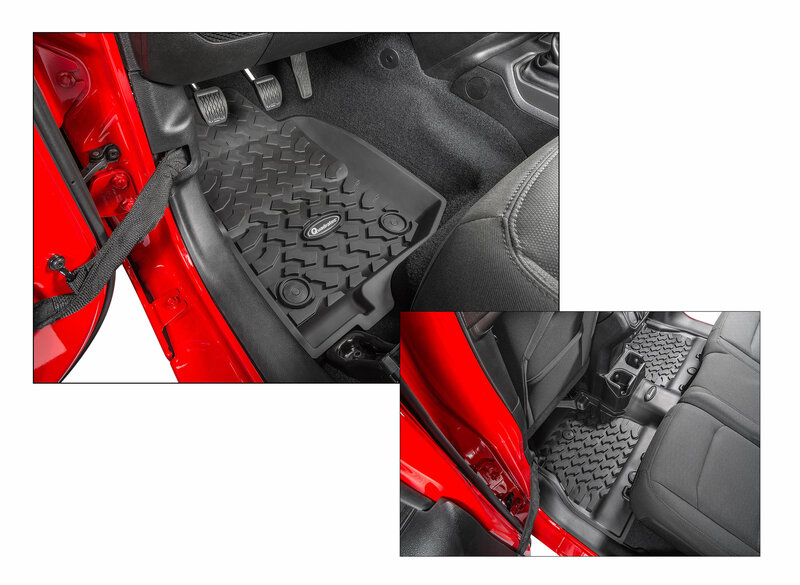 Our Essential Floor Liners for the JL Wrangler provide ultimate floor protection for those with active lifestyles and are engineered with the finest materials. Our Liners follow the exact contours of the floor pan providing total protection against water, snow and mud. The extra tall sides and 5/16" deep tire tread pattern contain water and debris - keeping your footwear clean and dry. Made from tough thermoplastic rubber that is both chemical & stain resistant. All Liners are injection molded for a precision fit and twice the thickness and weight of most other liners. Tested at sub-freezing and 100+ Fahrenheit temperatures, our Liners will not crack, melt or warp due to temperature. 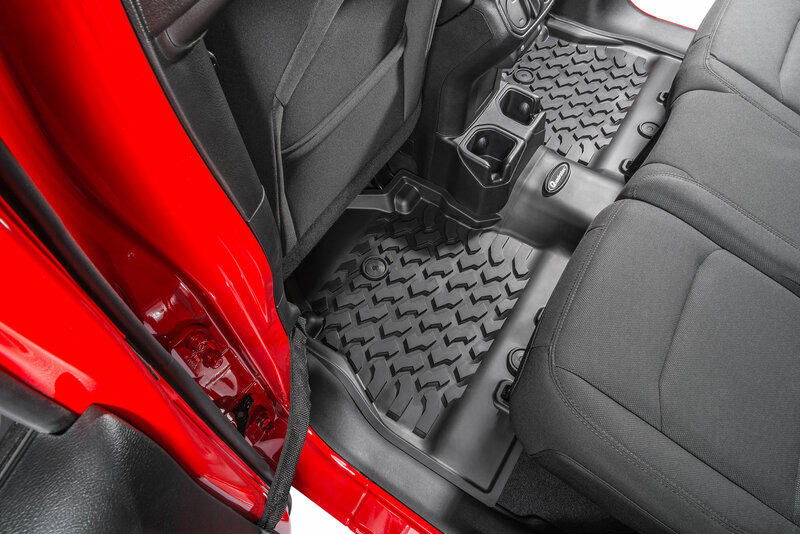 The JL driver side liners feature a shallower tread area beneath the pedals providing a comfy heel pad. 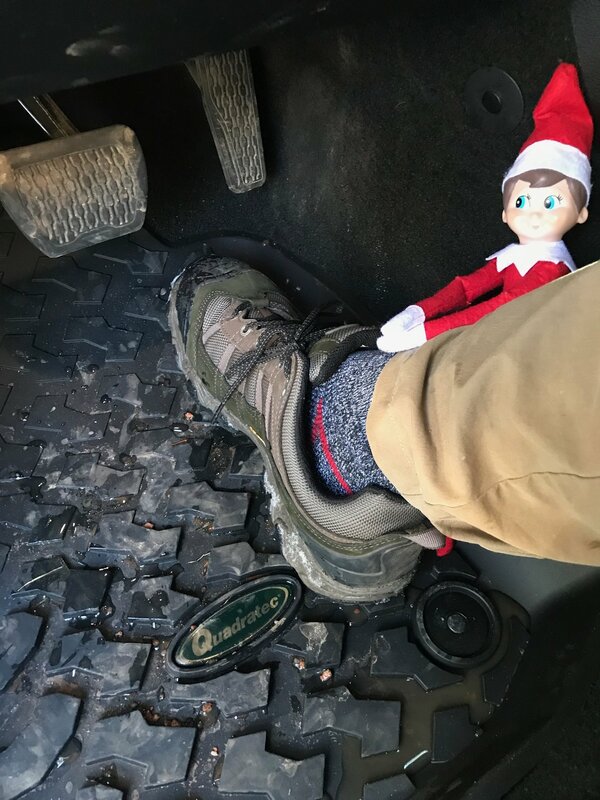 The Front and Rear JL liners have pre-installed original equipment style retention snaps and the nibbed undersides that provide added grip when installed. Simply attach to the factory snap studs in seconds and easily remove for cleaning. Made in USA. These are great floor mats. Quality is great. Feels solid and protects a good amount. Super fast delivery and easy to install. Excellent fit and quality...installed in approx 5 minutes with exact fit on my 18 JLU No issue whatsoever, really happy with this order! These floor mats fit perfectly, and the deep tread is exactly what I needed. No more snow melting off my boots and pooling under the heel to refreeze right under the clutch pedal!